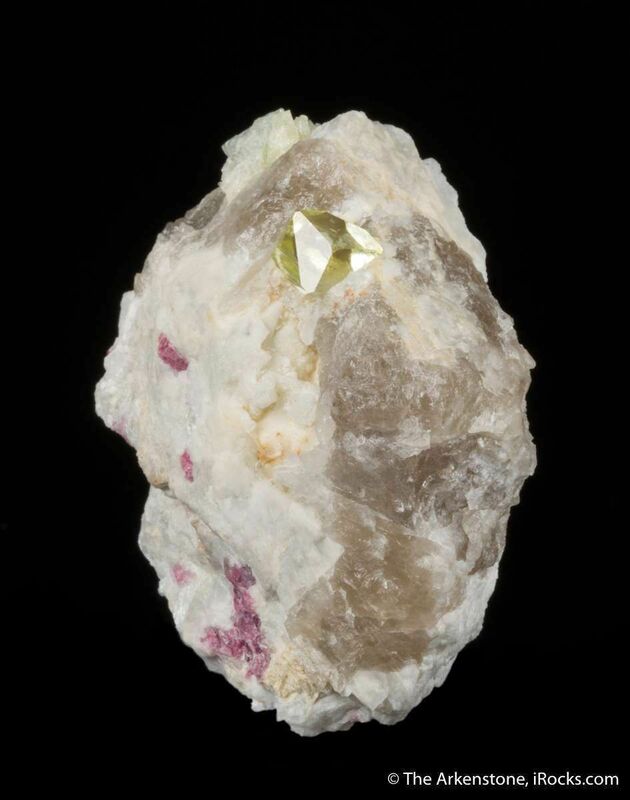 Rhodizite is normally not a gem species, and there are no large gem crystals I am aware of. 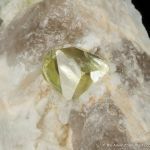 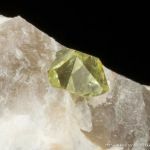 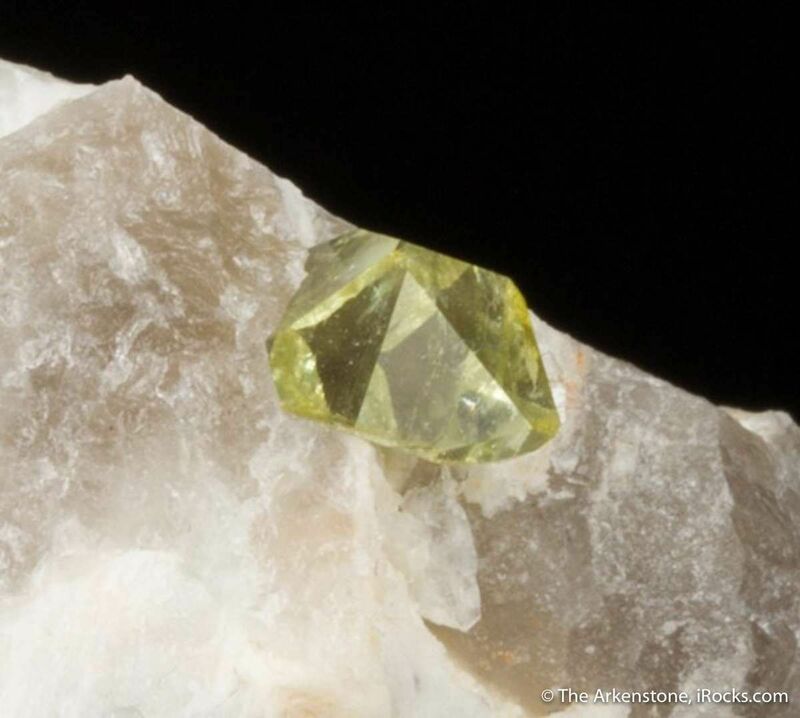 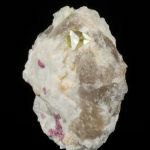 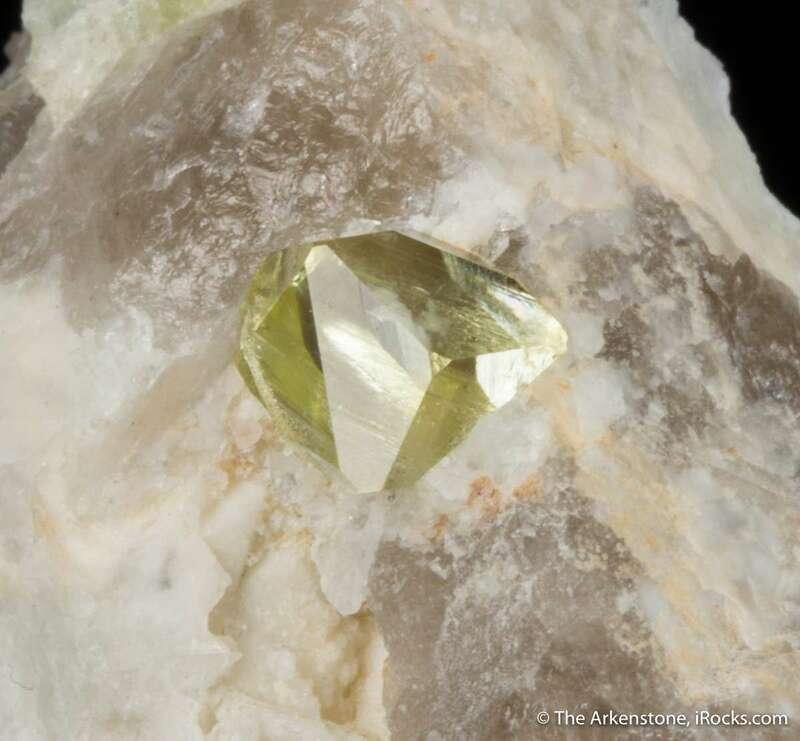 This piece is a unique, and to my mind quite significant, mineralogical rarity - it is totally gemmy and transparent, like a natural yellow diamond! 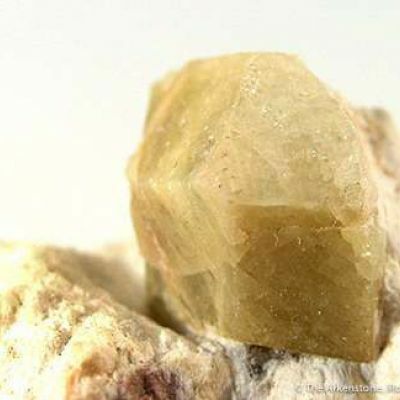 The crystal is clean, bright, lustrous, internally flawless, and a wonderful yellow color. 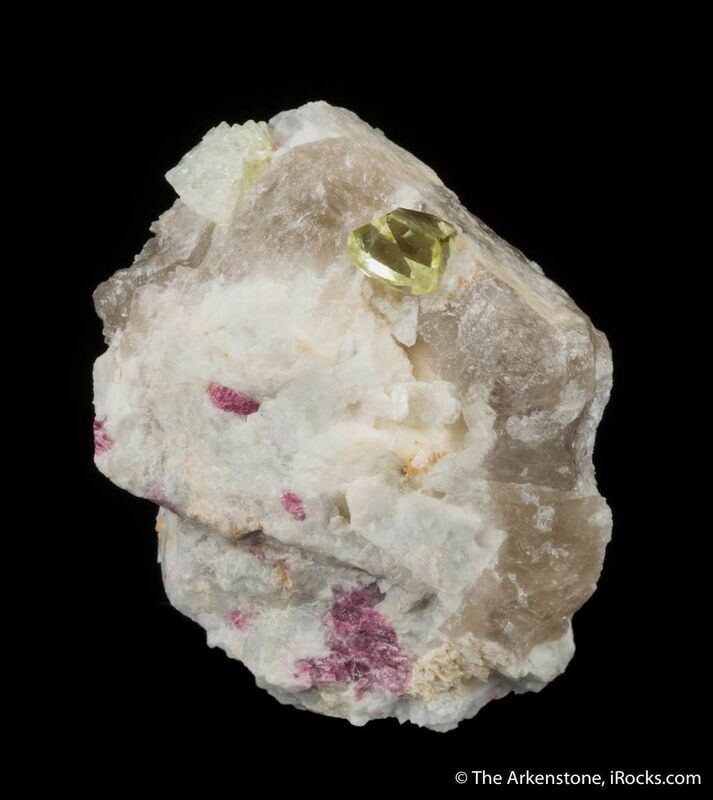 It is 6mm tall, perched in the typical matrix of the locality. 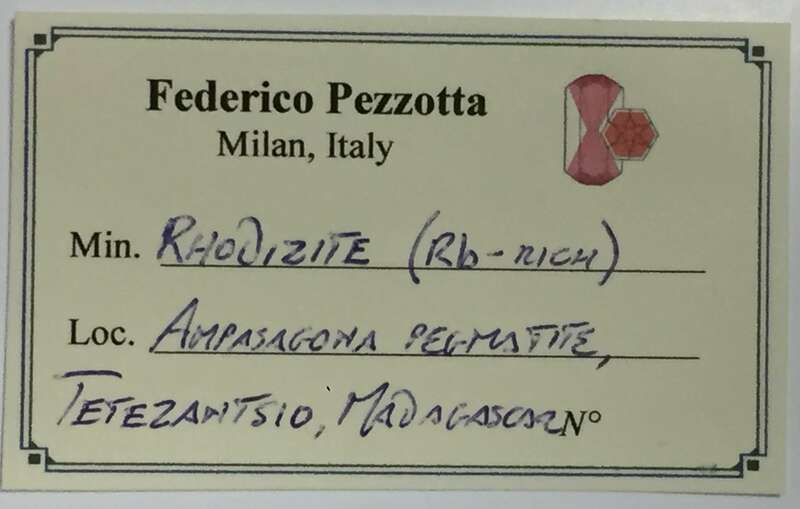 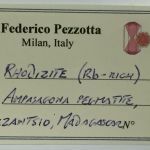 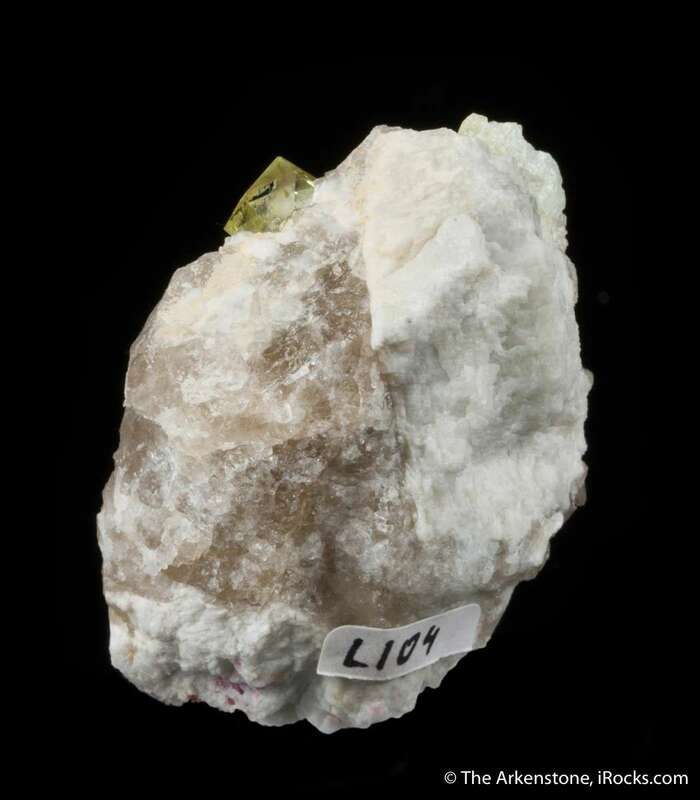 From the collection of Dr. Federico Pezzotta, who pretty much is the expert on Madagascar minerals in our time, and a mineralogical exploration consultant for the government there among other roles. 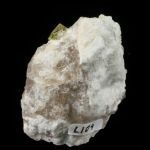 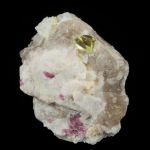 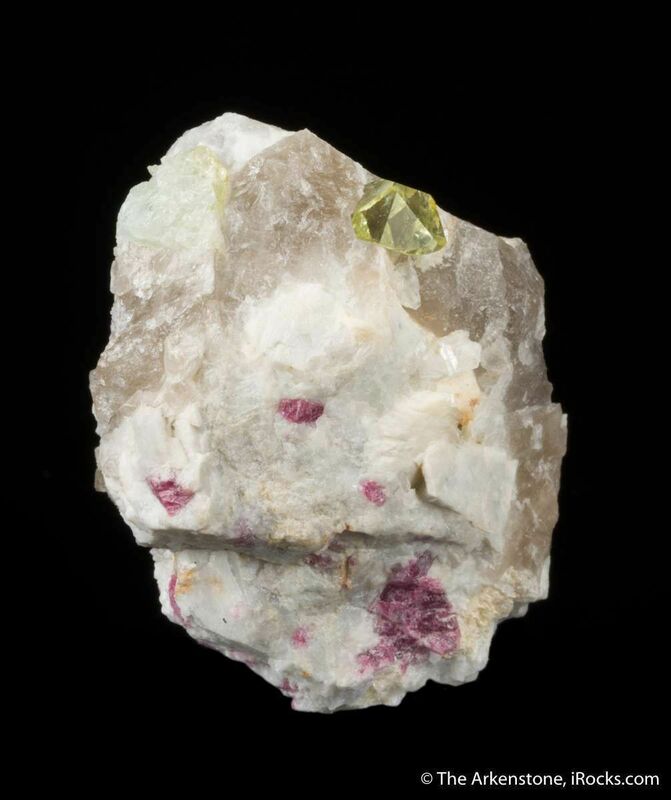 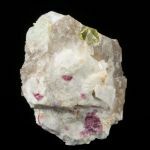 In his travels there, he has found many new and unusual minerals, including the new beryl species named after him, Pezzottaite.